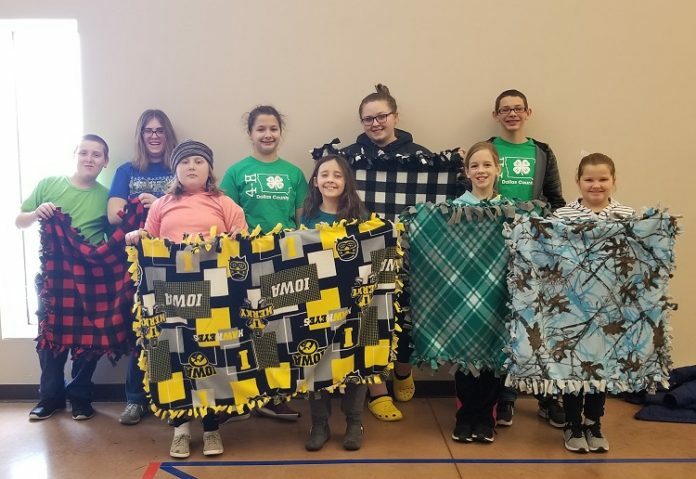 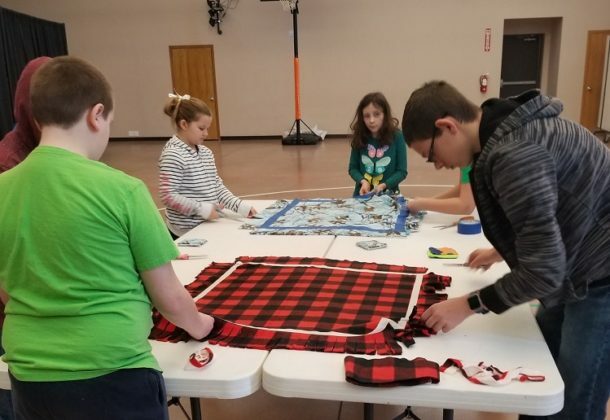 The Perry Pathfinders 4-H Club recently completed its first service project, creating five tied blankets and delivering them to U.S. military veterans. 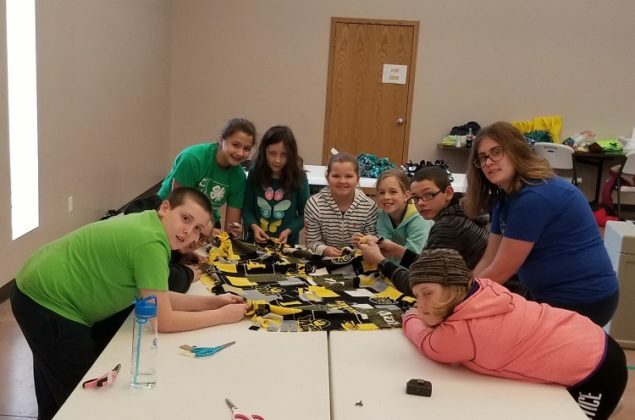 Kendra Woehl and Rebecca Francis are co-leaders of the 10-member Perry Pathfinders. The 4-H group gathered at the Crossroads Church for the blanket tying, which took about 90 minutes. The Pathfinders are planning a bake sale and some other fundraisers for the near future, she said. Anyone interested in joining the Perry Pathfinders 4-H Club should contact Woehl at 515-230-9957 or Francis at 712-441-4327.